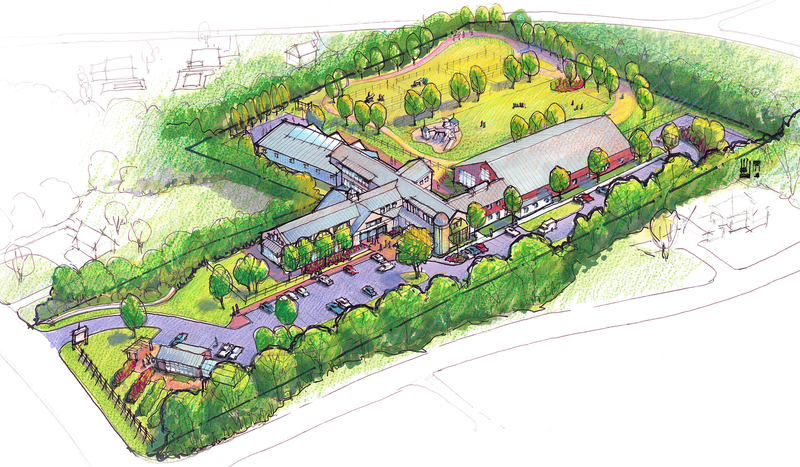 This proposed 49,700 SF facility located in Southeastern Massachusetts will be a national center for a multi-disciplinary approach to treating and working with children and adults on the autism spectrum. This large facility is designed to create a warm non-threatening environment which comforts the patients, guests and visitors. The exterior landscaping and master plan development involves facilities for recreation, therapy, and vocation including gardening, cooking, equestrian and aquatic activities. The CARES facility will have space for speech therapists, occupational therapists, physical therapists, child psychiatrists, neuropsychologists, and developmental pediatricians in order to appropriately address medical needs of the clients. This comprehensive program would combine clinical practice with research and training programs. The training program would be open to interns, graduates, and residencies. Space will also be available and open to the community and various support groups.